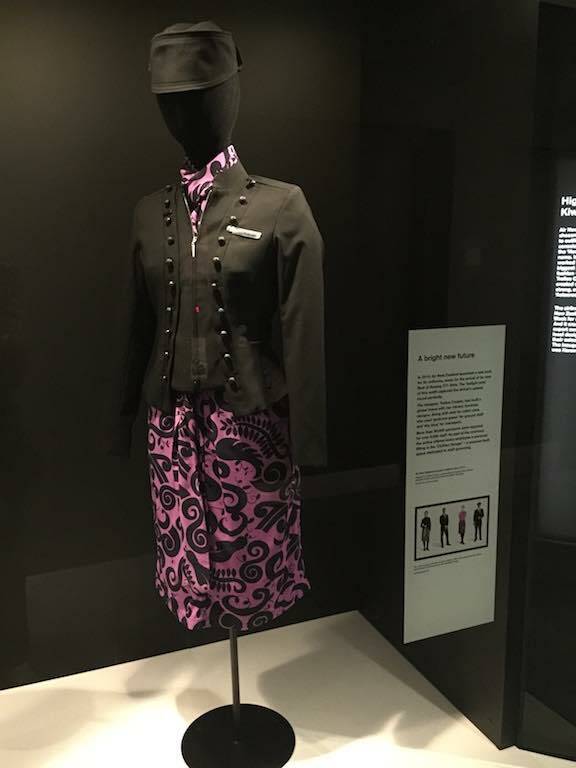 I’ve already blogged about visiting Te Papa – Museum of New Zealand and visiting their Gallipoli exhibition, but I thought I should share some of the other things I did and saw on my brief trip to Wellington the other week. 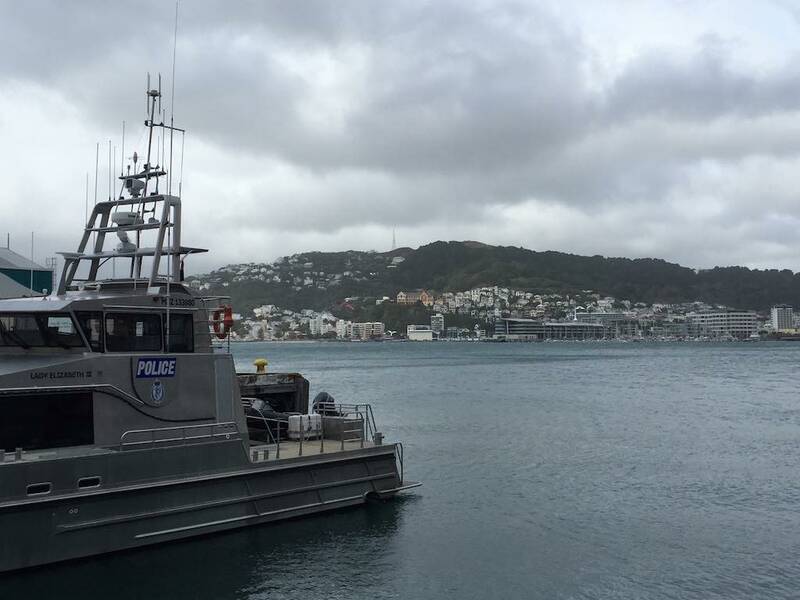 For those of you who don’t know New Zealand, Wellington is our capital city and is situated at the bottom of the North Island. Also if you aren’t aware, the whole country over the last 10 years or so has been taken over by the whole Lord of the Rings frenzy. 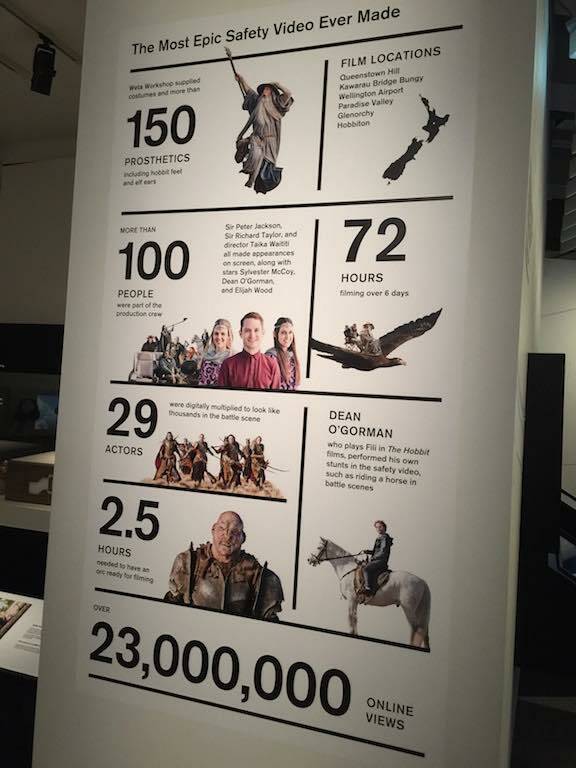 Weta Workshop which was the design and effects studio for the movies is just a short distance from Wellington airport. 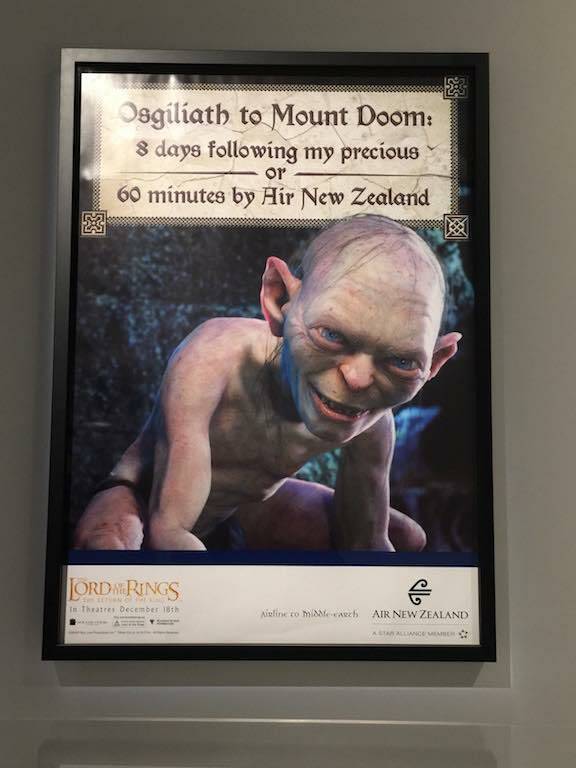 So over the course of the last few years, the airport has taken on the role of gateway to Middle Earth. 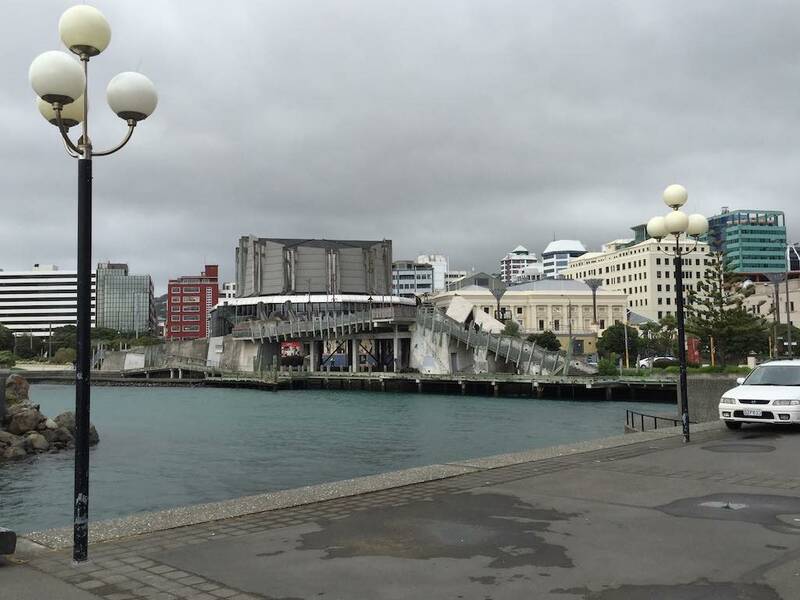 When landing, when most airports have the city name in big letters on the building, Wellington’s terminal has “Middle of Middle-Earth”. 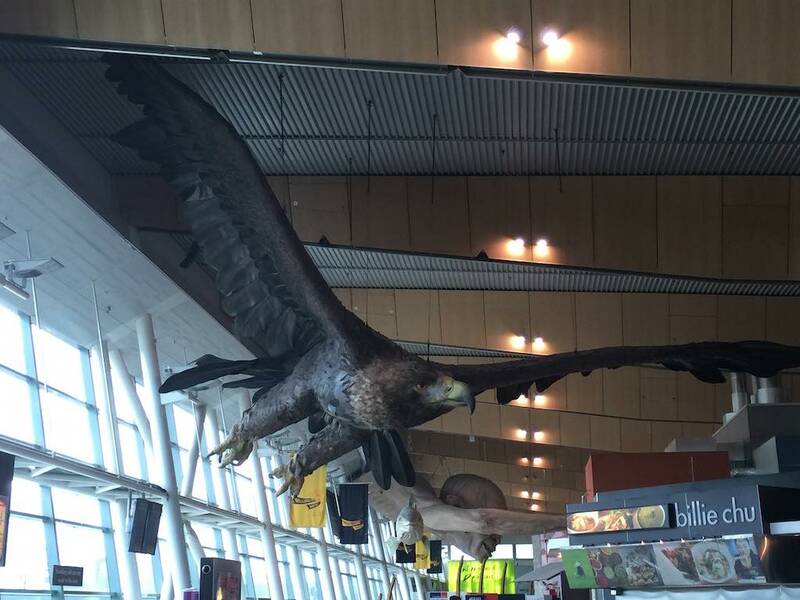 As you walk through the terminal to the baggage claim, huge eagle’s soar overhead with Gandolf astride. 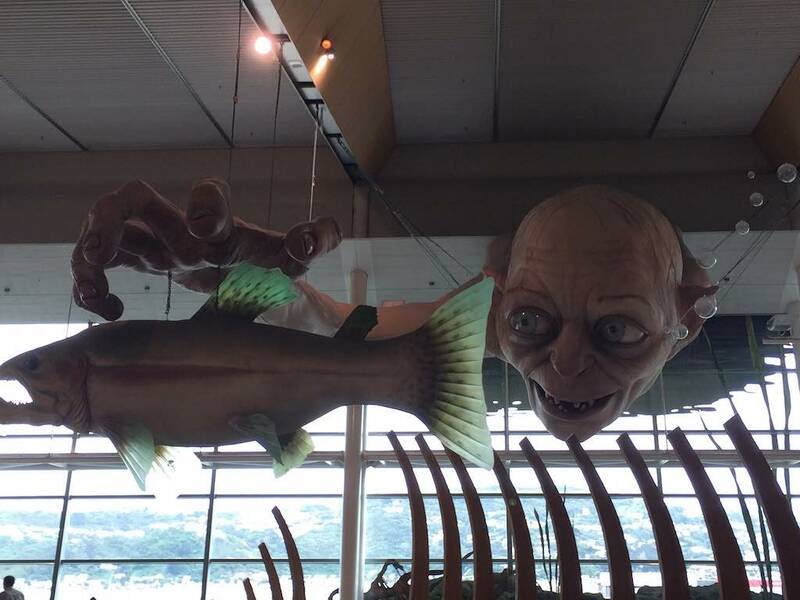 A huge figure of Gollum catches fish over the foodcourt. I then headed from the airport and did a whole bunch of work for a couple of days… we’ll skip that bit. Then I headed back into the city late one afternoon on the train. 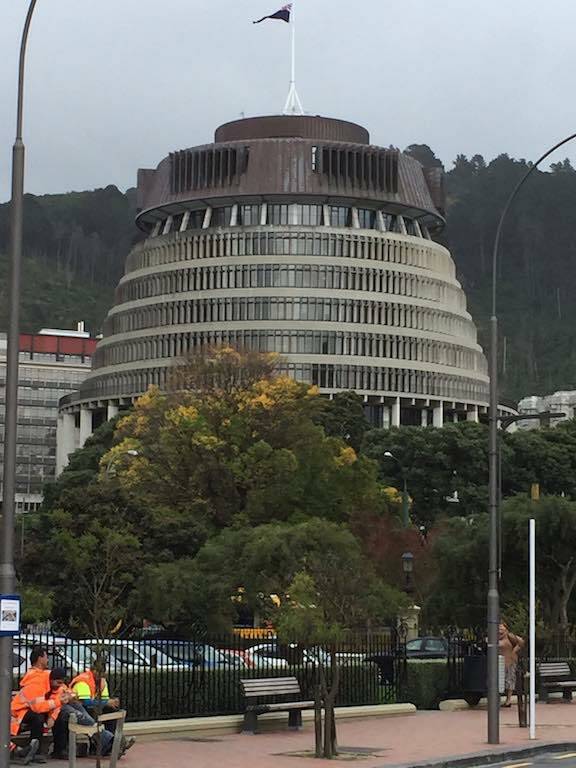 Coming out of Wellington station, the first building I saw was the Beehive – our parliment building. 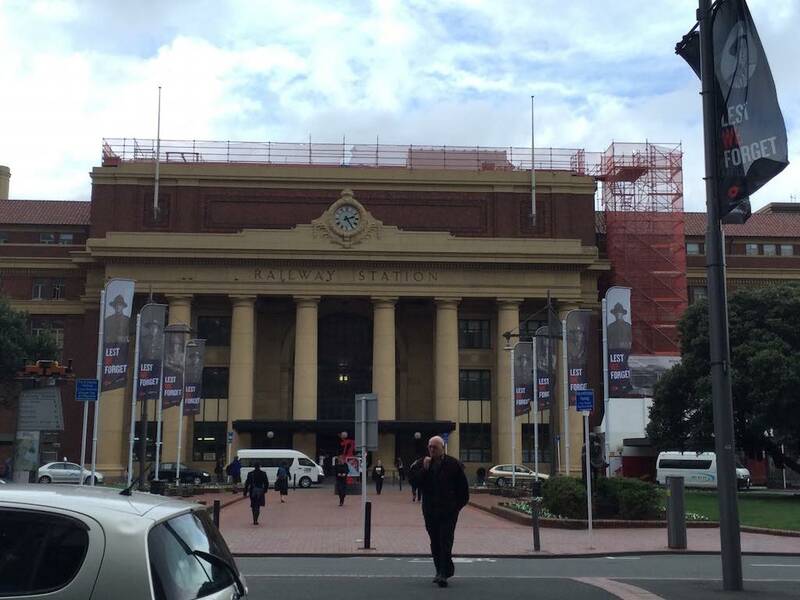 And took a quick photo back towards the railway station – note the WW1 ‘Lest we forget’ flags advertising the Gallipoli exhibition at Te Papa. 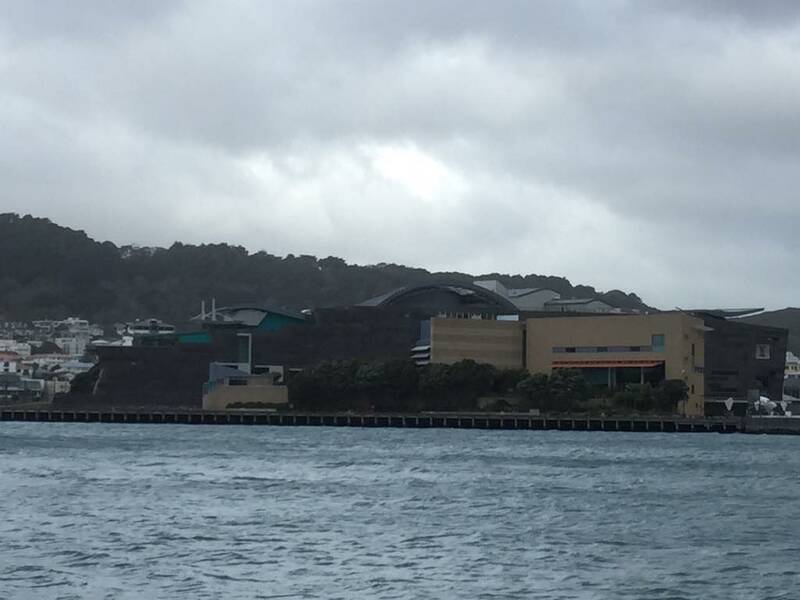 It was freezing cold and very windy but I decided to be brave and head along the water front to Te Papa, it’s about a 20 minute walk. These are some of the photos I took along the way. 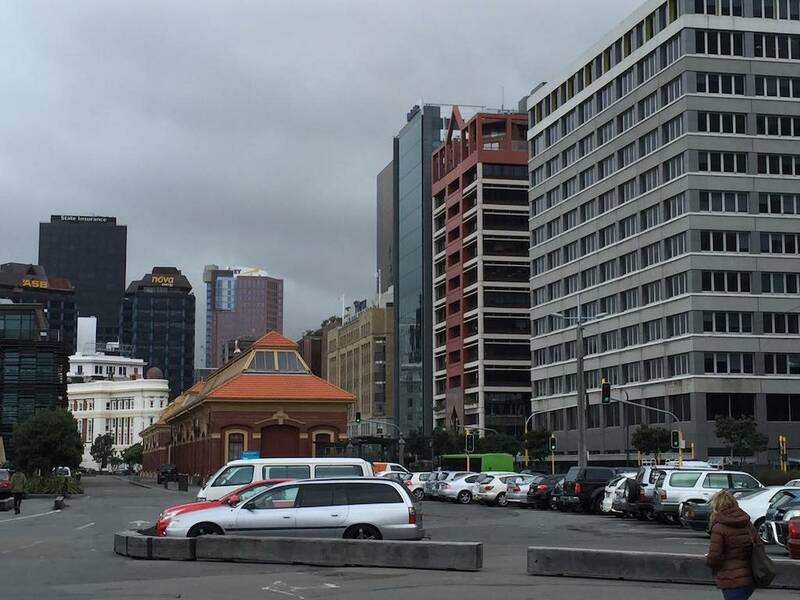 Te Papa in the distance. 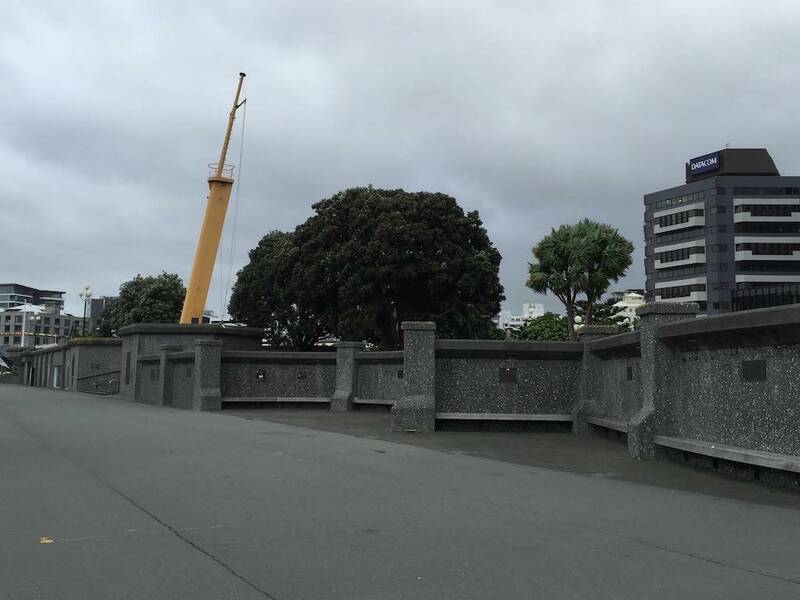 One of the places that I would have stopped longer, if it hadn’t been so cold, was this memorial wall. I’ll do a post about that in a post within the next few days. 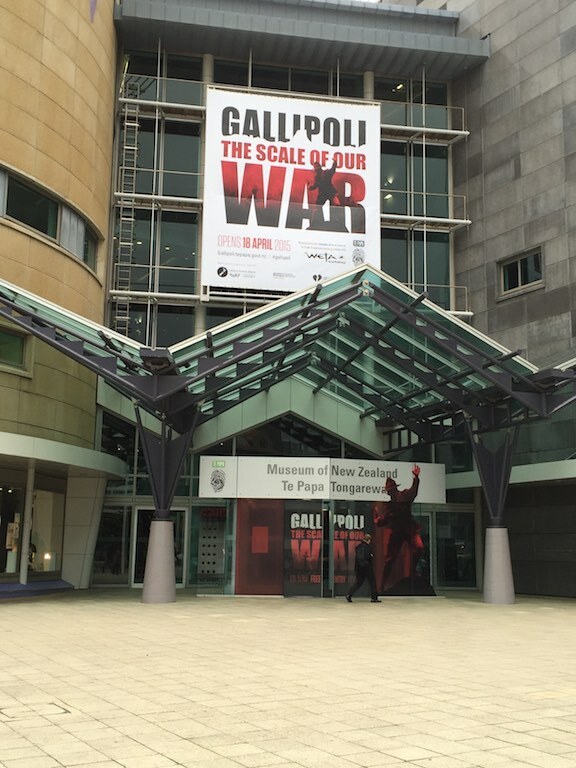 And finally I arrived at Te Papa. 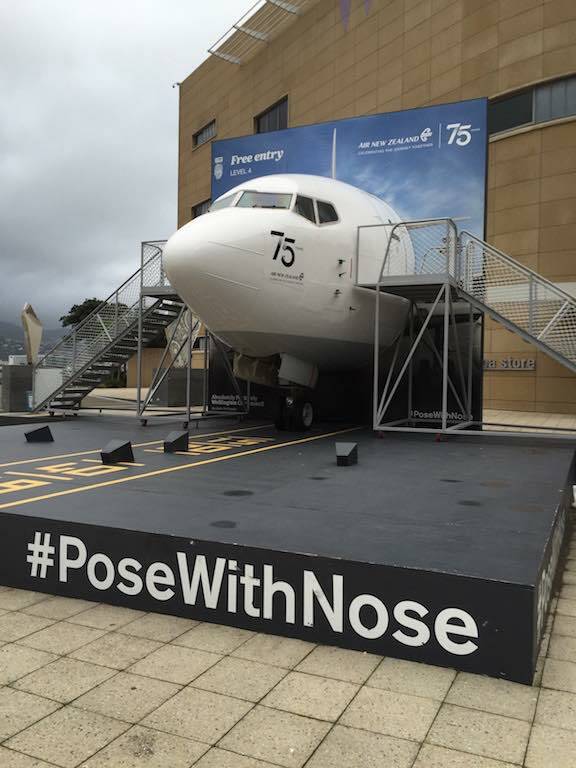 While at Te Papa, I also visited the Air New Zealand exhibit, the #PoseWithNose cockpit outside was closed due to the weather. 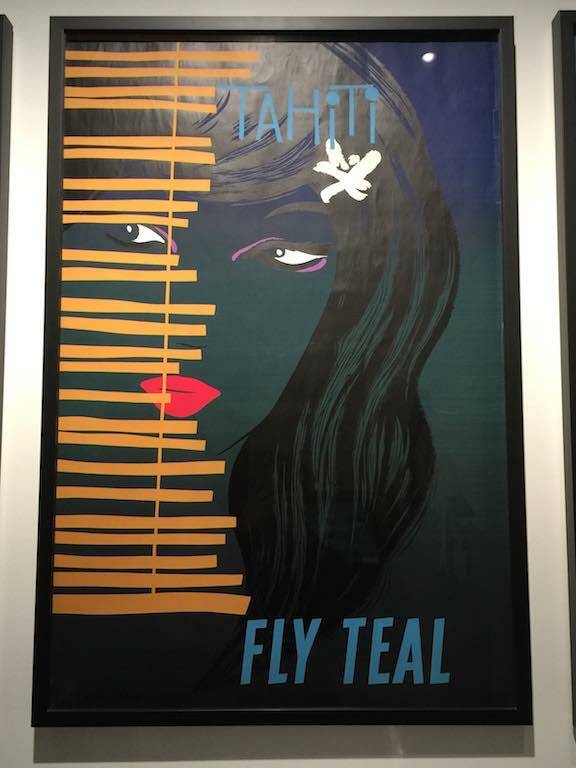 The Air New Zealand exhibit was really interesting, both my Dad and Aunt both worked for the airline and I’m a loyal customer. Then onto more recent advertising using the Lord of the Rings. 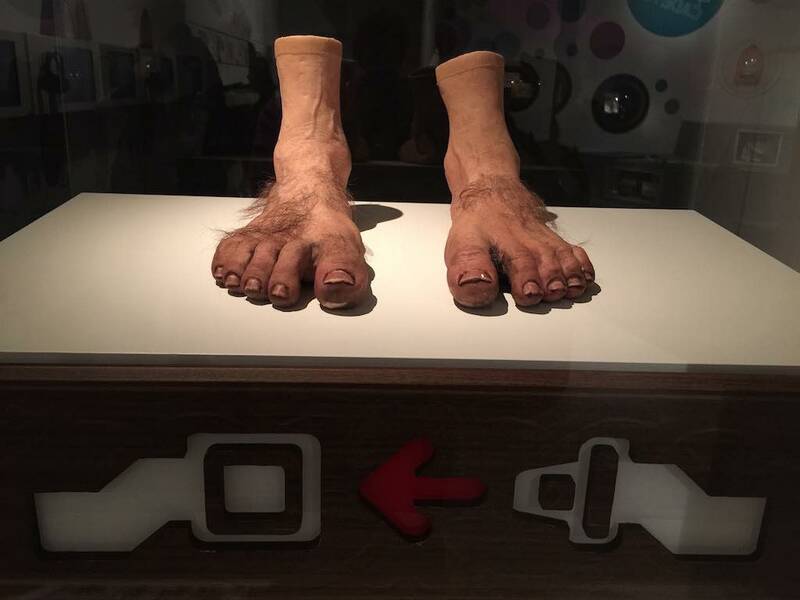 Even a set of Hobbit feet as used in the recent Lord of the Ring’s airline safety video. 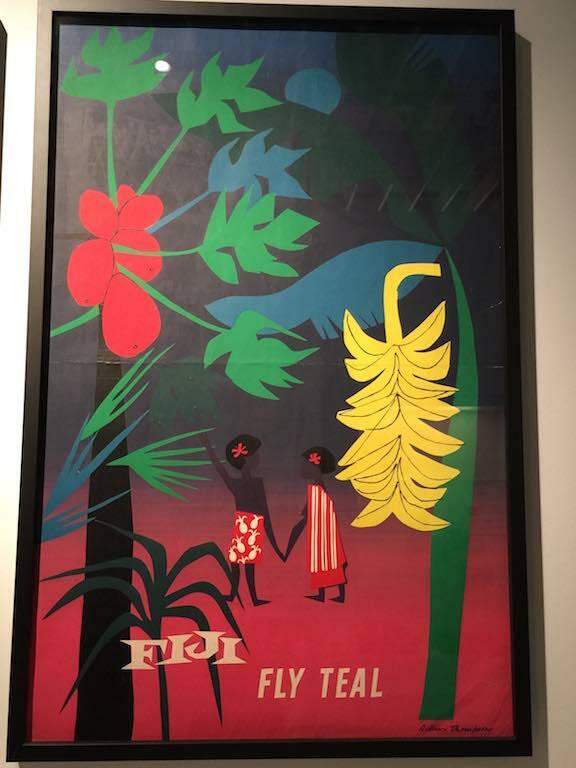 Then on my way out, a little bit of Maori culture, unfortunately I didn’t have time to see any other exhibits before leaving. 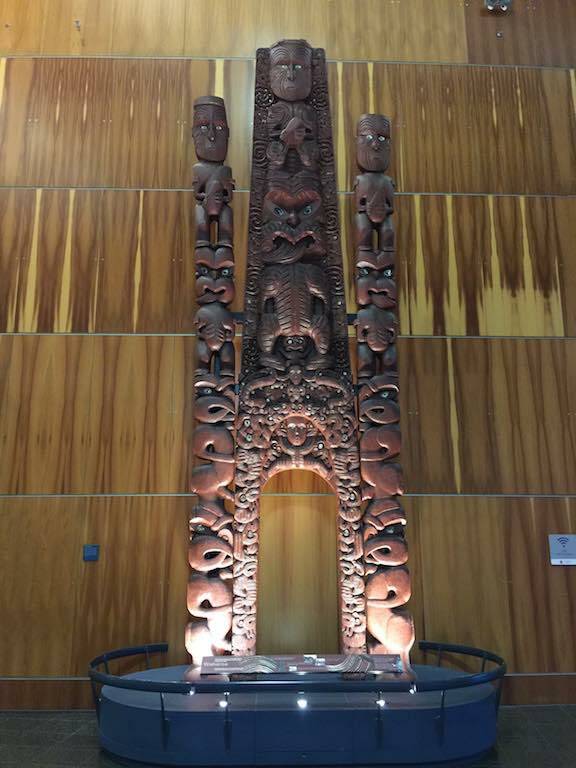 Just as my trip to Wellington was coming to an end, I checked in at Wellington airport. 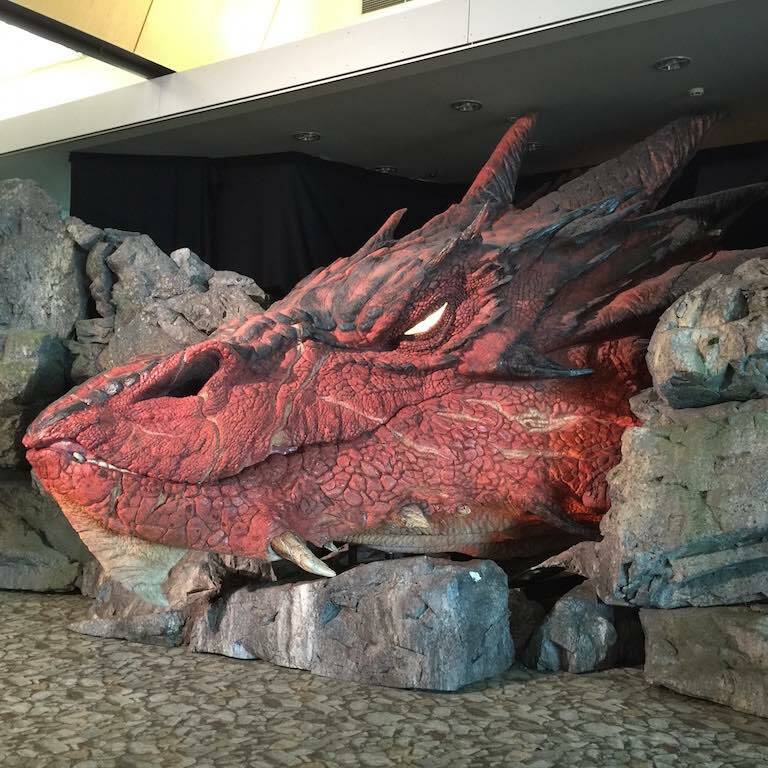 I nearly had to open my suitcase to get some clean undies out when I spied Smaug in the checkin area – complete with blinking eye! 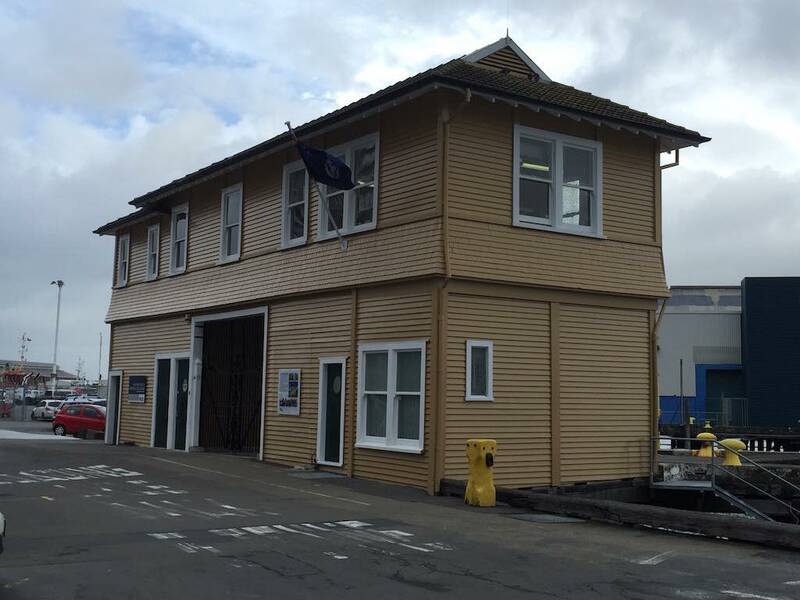 For more about my travels around New Zealand, click here and be sure to follow my blog to keep up with future updates. those are some amazing shots of the airport. I love LOTR and had to show my hubbie!! 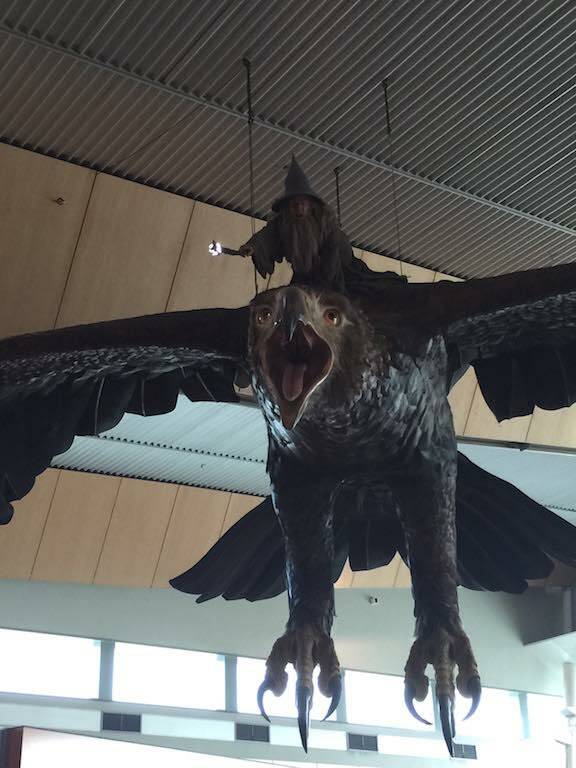 The huge eagles and Gollum were really cool! 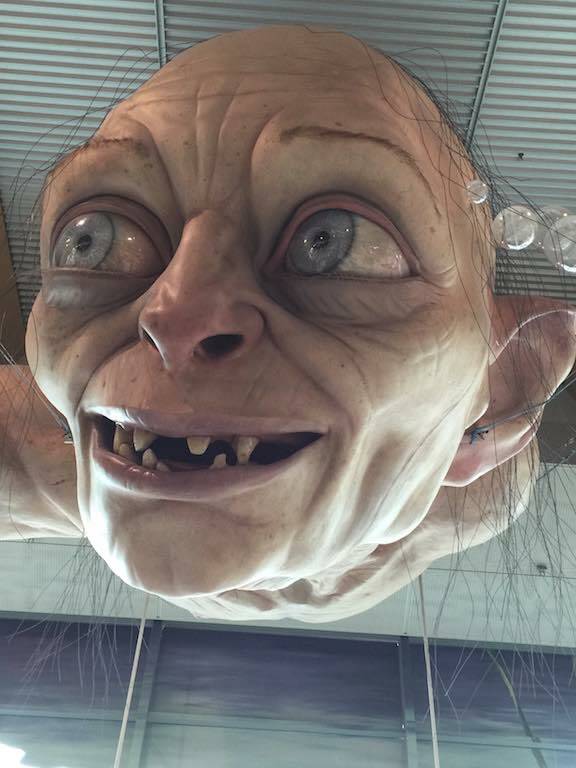 Loved the Lord of the Rings movies so, I really enjoyed seeing the airport photos. Another place to see on my bucket list.